Snow days are a rare occurrence in the Southeast. Sleet, ice, black ice, freezing rain, or about thirty seconds’ worth of snow that turns immediately into sleet, ice, or freezing rain (aka ‘wintry mix’) – pretty standard fare ’round here. A bona fide snowfall that comes down so fast and heavy that my footprints from walking out to the pond are completely filled in by the time I make one loop and head back to the house? Until yesterday, I would have put my money on a zombie apocalypse happening first. The possibility of losing power last night loomed large (and may very well happen tonight), so we took the usual precautions: charged all of our phones and various devices; filled up the cars with petrol; cooked giants pots of rice and beans and squash sauce; stocked up on bottled water, bread, chips and wine; and made a few favorite family treats, including these muffins. For the record, I think all of these things would also come in handy for a zombie apocalypse. If you’ve never tasted millet before, it has a mild, sweet flavor not unlike cornmeal. I often grind it into flour for baking, but I really like the way the teensy seeds pop between my teeth when left whole. 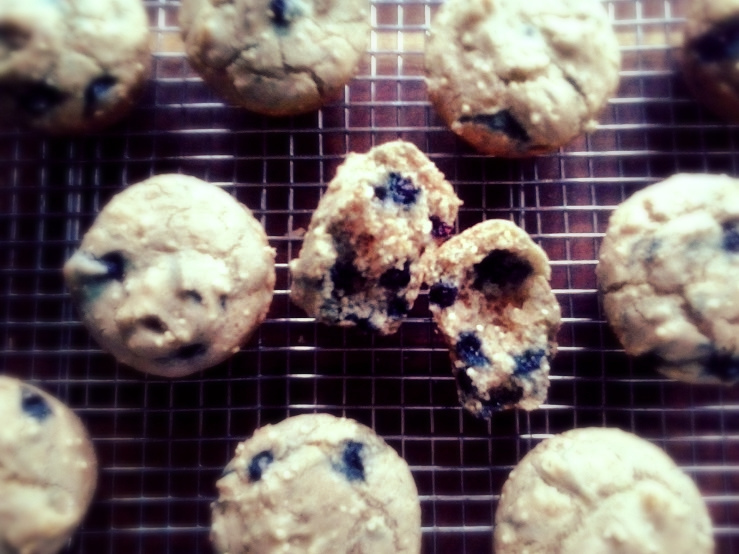 I used frozen wild blueberries in these muffins, but I imagine just about any berry would do. These are both gluten and gum free; I use whole flax seeds to bind and leaven. Maple syrup is my sweetener of choice, lending these a rich honeyed flavor. Position a rack in the center of the oven and preheat to 400 F / 205 C. Line or lightly oil a 12-cup muffin tin. First, prepare your flax eggs. Stovetop: Combine the flax seeds and water in a small saucepan and bring to a low simmer for five minutes. The water may or may not begin to thicken; this is okay. Remove the saucepan from heat and proceed with the rest of the recipe. Microwave: In a large heatproof bowl, combine 1/2 cup boiling water with the flax seeds; microwave on high for 40 seconds; set aside and proceed with the rest of the recipe. In a small bowl, toss the berries in 1 tablespoon of flour; set aside. Whisk together the flours, starches, millet, baking soda and powder, and salt. In another bowl, whisk together the yogurt, oil, syrup, lemon zest and juice, and flax-water mixture. Add the wet ingredients to the dry and mix until just incorporated. Carefully fold in the berries and any excess flour. Divide the mixture evenly between the 12 muffin cups; they should be filled 2/3-3/4 from the top. Bake for 20 minutes, turning halfway to ensure even browning. 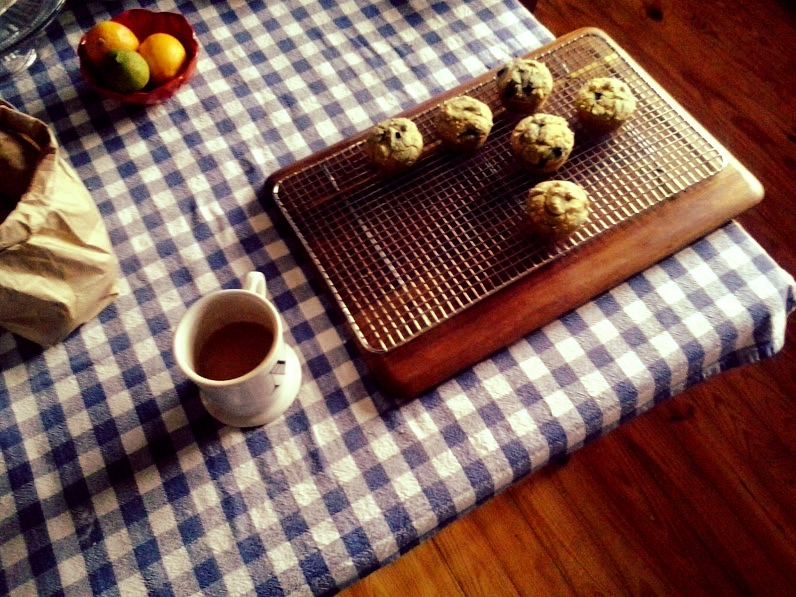 The muffins are ready when they smell nutty and the tops are just starting to crack. 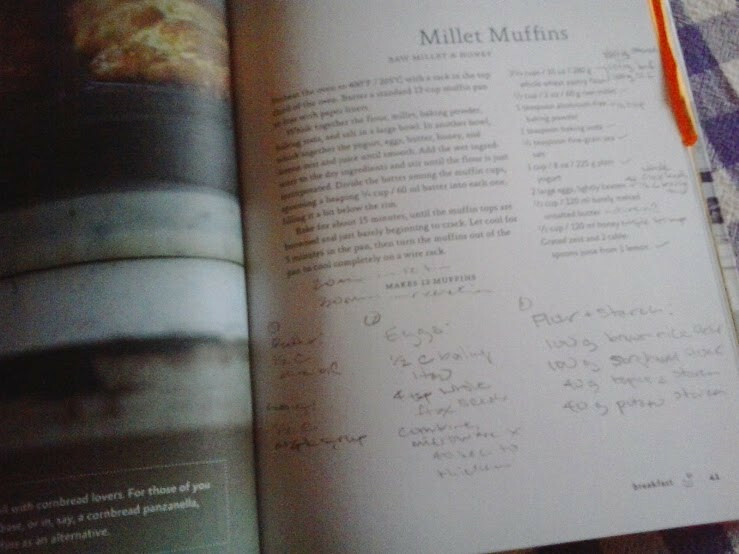 Take the tins out of the oven and twist each muffin out of its cup, turning it on its side in the cup to cool. These taste best if eaten the same day they are made, but will hold up well for up to two days stored in an airtight container.